Our latest wall picture. Our 2 year old son helped with this one painting plain sheets of paper with glitter paint which were later cut up to make the Easter eggs. 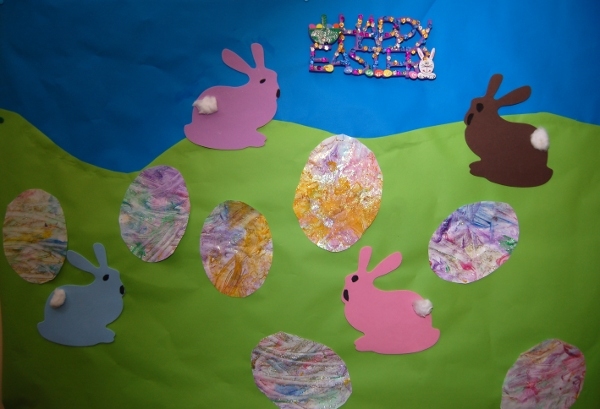 The happy Easter banner was made from a craft kit bought from a local supermarket. This entry was posted on Thursday, April 1st, 2010 and is filed under Babies, Children, Crafts, General. You can follow any responses to this entry through the RSS 2.0 feed. Both comments and pings are currently closed.